Give tiled floors the treatment they deserve with professional tile and grout cleaning services from our team. Get in touch with Carolina Pro Clean today and get an estimate for your cleaning project. There are some things which are best left to the experts. Tile and grout cleaning is one of those things. Rather than wasting time sourcing tile cleaning equipment for yourself, carefully planning your job and preparing your space, and carrying out the work on your own, just get in touch with Carolina Pro Clean. We provide professional tile cleaning or tile and grout cleaning services to clients up and down the Outer Banks and across the Albemarle area. Combining formidable industry experience with a warm, friendly, locally-based attitude towards our work, we are your number one choice for tile and floor cleaning services on the Outer Banks. Fill out the form below and get an estimate for your job today. Whether we are working with a residential home or commercial premises, we understand that this is your property and you need cleaning services which work for you. This is why we build these services around our clients, so that what we offer reflects their diverse needs. Professional floor cleaning services for a variety of flooring materialsTile floors can be made of a broad range of flooring materials, each with its own specific cleaning concerns. Marble, slate, granite, travertine, ceramic, porcelain – all of these different surfaces need their own floor cleaning service. We have the expertise required to provide this service. Complete steam cleaning solutionsMany tile and grout cleaning jobs require a robust approach, but it pays to know when a softer, gentler approach is required. For this, we deploy steam cleaning solutions which get the job done. Sealing and finishing packagesWe know that our clients like to gain the peace of mind which comes from a tile cleaning job well done. To support this, we offer sealing and finishing packages to help keep your freshly cleaned floor looking its clean and shiny best. Robust warranties and guaranteesAt Carolina Pro Clean, we have confidence in our work. This is why we offer a comprehensive one-year sealing warranty, and a 100% customer satisfaction guarantee on our tile cleaning services. Service Plans for Long-Term Peace of MindWe want to provide you with solutions you can rely on today, tomorrow, and beyond. This is why we provide service plans to help your tile and grout stay clean for longer. Service plans available for 6-12 months. Get started with a free estimateReady to get started? It all begins with an estimate, delivered to you absolutely free. Fill in as much information as you can on the form below and let us get back to you with a price for your job. 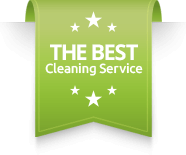 Without our clients, Carolina Pro Clean is nothing. To recognize this, all of the services we offer are developed with you in mind, as we strive not only to fulfill your needs, but to go above and beyond. This is our commitment to our clients, and this is why we are confidently able to offer a 100% customer satisfaction guarantee, every time. 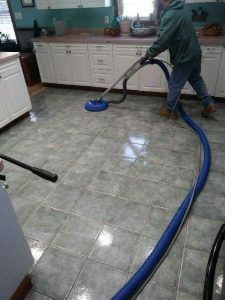 Each year, our client base grows, with more and more customers just like you coming back to us time and time again for tile cleaning services and more. Our testimonials page is full of glowing reviews from our happy clients, and demonstrates our position at the forefront of the local market. We hope you can join this expanding community. Fill out the form and get a quote for tile cleaning, or give us a call today to find out more about what we can provide.